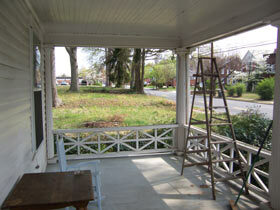 Finally, it all comes off, and the house has its front porch again. 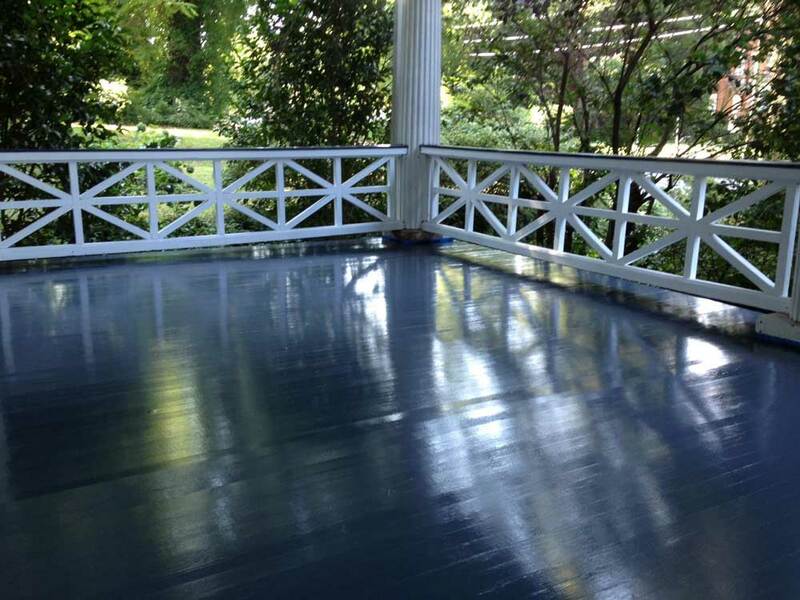 It's a nice Southern porch, with Chippendale railings you can sit comfortably on, and a floor big enough for dancing. 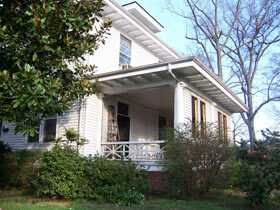 As befits a 1910 American foursquare, it is wide and deep and sturdy. Covered in siding, it resembles a bland surgical mask over the face of the house. Without the mask the house seems to breathe easier again. Why was the porch closed up?. The last owner said it was to keep the bums from sleeping on it, but she's probably kidding. Maybe it was for storage, or boarding. Or perhaps it was because, some time ago, someone just forgot about it, and like most of America, got out of their rocking chairs and gliders and moved their social lives into the air conditioning, or out on to the back deck. There is a lot to like about comfortable private spaces, buffered from the noise, the fumes, the weather. And the impulse is nothing new. 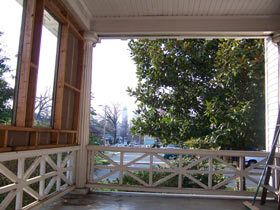 This front porch has no gap in its railings and no steps to the street; it functions like a first-floor balcony. Even in 1910, families had ideas about privacy, and the builder of this house was directed by his wife to move the main entrance to the side of the house, facing the less busy side of its corner lot. Some time later, the address was officially changed from the urban 1901 E. 7th to the more suburban 400 Clement Avenue. Nobody was fooled. The old house still faced forward, blank expression and all. Old houses cannot be but what they are. They stand and face the future and whatever it brings. Some do just fine, some don't make it. And some, like this one, hunker down, their gazes averted. But the mask has come off this house. It looks forward again, jutting its porch into the traffic, the noise, the bustle. It looks into the heart of a rising Southern city, a city alive with the future, yet awakened finally to the treasures of its past, what is left of them. 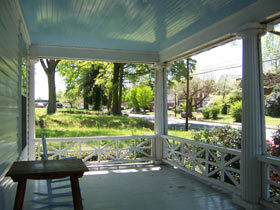 This front porch is a fine place to watch the future unfold. 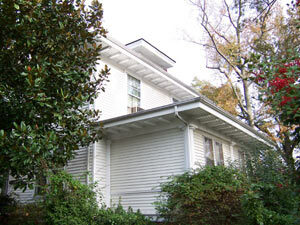 And it is a fine place to launch OldHouses.com, which seeks to bring the glories of the past into the future. 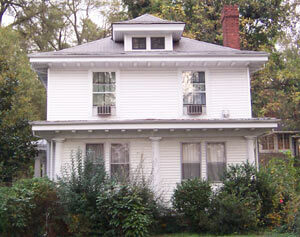 What better home could there be for such an endeavor, than an old house standing on the cusp of tomorrow?